Just about everybody who uses social media for business has said that at one time or another – or many times! One way to help free up some time with your social media posts is to repurpose your content! 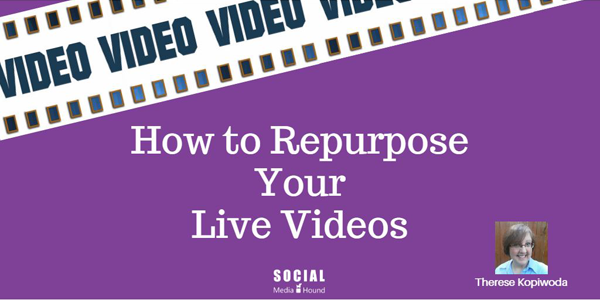 This is true for any type of content you produce, but in this post I want to give you some ways that you can repurpose live videos from Facebook Live and Persicope. People are jumping on the live video bandwagon pretty quickly – and that’s some smart thinking! But it’s important not to stop there. After you’re done with that video and your broadcast is available for replay, there are plenty of ways to get more traction out of it. Repurposing your videos and the content can go a long way in getting more eyeballs on your stuff, and saving you some time doing it. Make your Facebook Live broadcasts stand out with a custom cover image for each of them. To save time, make a template so you can easily add a new title to for each broadcast. (Canva is an excellent tool for this.) While you’re at it, make an image for Twitter, Instagram, Pinterest, and other social platforms you’re active on. Use those images for posts that will include a link to your broadcast, or your blog post (more on that later). When you broadcast on Periscope, be sure to enable the auto tweet. To do this, your Periscope account must be tied to your Twitter account – something you would have done when you first set your Periscope account up. Many of your Twitter followers may have no interest in downloading the Periscope app, but this allows you to reach them anyway – in addition to your followers on Periscope. Do a short teaser video talking about the longer video you did on another platform. Tell viewers to click the link in your bio to watch the full video. Remember that Instagram graphic I mentioned above? Post that to your feed with a short synopsis of the video. Put the link to the video in your bio and direct people to click on it to watch the replay. 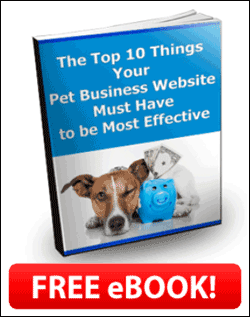 Be sure to also add a short url, like a bit.ly link on your graphic. This way, if you change the link in your bio, people will still have a way to get to the video mentioned in the post. Make a custom background that you can use as a template after you download your videos. 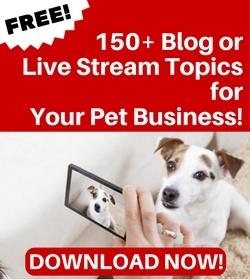 Download your Facebook Live video and format for YouTube. Since Periscope cannot be downloaded directly from Periscope, use something like Screen Cast O Matic to record a screen capture of your video with your custom background. When you upload your video to YouTube, be sure to add a description and if you did a blog post about the same topic, link to it. After you finish your live broadcast, don’t just turn your back on it and hope people see it. Use some of the ideas above and repurpose your video replay to your other social media accounts. Make content repurposing a regular part of your social media marketing to save yourself a heck of a lot of time – and get your content in front of more people. These are just a few ways to repurpose social videos to save time and get more eyeballs on them. Now I’d like to hear from you. What’s your favorite way to repurpose broadcasts from Facebook Live or Periscope?